Aviation Insurance Resources (AIR) agents are scheduled to attend the 44th Annual Horn Point Fly-In on Saturday, May 19th at the Horn Point Aerodrome, east of Cambridge, Maryland. 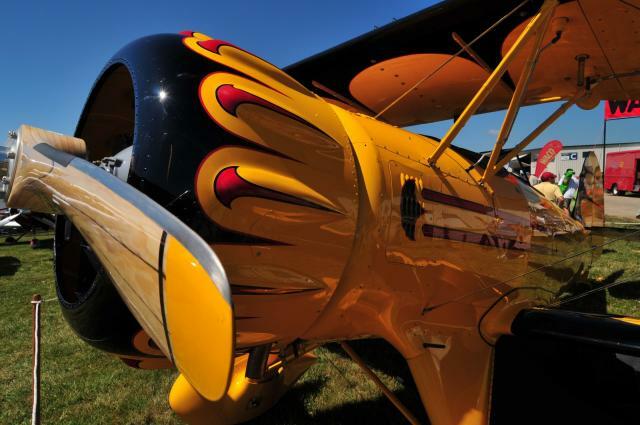 Hosted by the Potomac Antique Aero Squadron, a chapter of the Antique Airplane Association, the Fly-In is sure to feature dozens of antique and classic aircraft. Experimental and modern aircraft are welcome, as well. In previous years, awards included: Antique Aircraft (Manufactured prior to 1946), Classic Aircraft (Jan. 1946 thru Dec. 1955), Customized Aircraft (Military or Civilian), Custom-Built Aircraft, Military Aircraft (Thru 1955), Contemporary Aircraft (Jan. 1956 thru Dec. 1970), and other Special Awards. For more information, contact Fly-In Director Art Kudner by calling 410-310-0159 or emailing arthur_kudner@comcast.net. AIR is a leading underwriter of all types of aviation insurance, from FBO insurance, hangar insurance, aircraft museum insurance, and, of course, antique and classic aircraft insurance. Let our aviation insurance experts guide you through the process of selecting the right insurance company. Best of all, because AIR is licensed in all 50 states, with regional offices throughout the country, we are able to serve you better. So what are you waiting for? Click here for a FREE quote from AIR! To find out more about The 44th Annual Horn Point Fly-In or Antique and Classic Aircraft Insurance, please contact AIR by calling 877-247-7767 or visit AIR-PROS.com today and receive a free Aircraft insurance quote! You can also follow us on Facebook, Twitter, LinkedIn, Pinterest, and Google+.